One of the most dynamic & popular large format graphic displays due to its maximum impact with minimal effort. 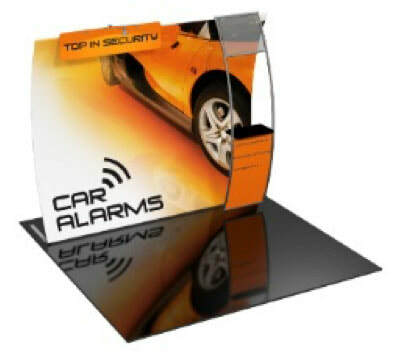 Magnetic popup system provides your choice of a graphic or Velcro receptive fabric backwall. Durable and portable. Stand out from the rest with a unique booth! Features super stretchy push-fit fabric graphics that come pre-attached to the collapsible frame to create a sleek & polished display. Graphic placement positions are endless.! 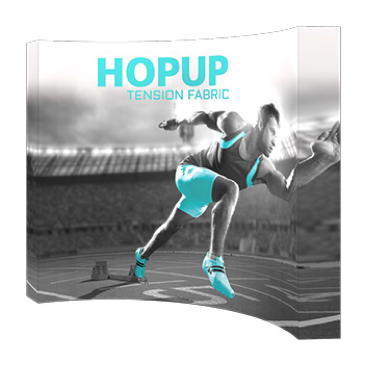 Straight, Vertical or Horizontally curved backwalls combine pillowcase fabric graphics with lightweight aluminum tube frames to form a fashionable & functional exhibit. 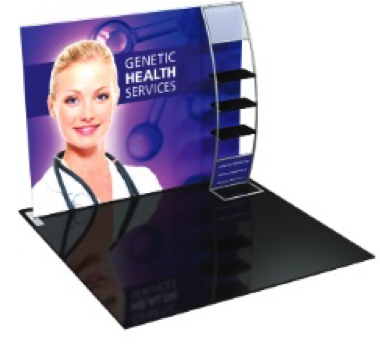 Vibe kits are a cleverly-designed, dimensionally layered 10’ exhibit kits. Vibe combines layered lightweight aluminum tube frames with zippered pillowcase printed fabric graphics. If you are looking to make a lasting impression with a sophisticated, feature-rich exhibit, this line will help you stand out. Lightweight system with graphics that pack a lot of punch! 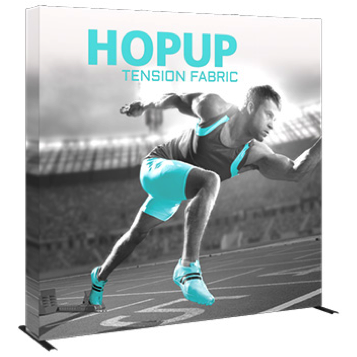 Base plates, uprights and beams – three components that help convert printed fabric to stunning graphic displays. The system is simplicity itself. The beams are inserted into the pole pocket of the printed fabric and attached to the uprights. Top and bottom beams can be adjusted to accommodate fabrics of various heights and also to tension the fabric. Three versions are available: with one upright and one- or two-sided fabric, or with two uprights and a centre fabric. Add brochure racks, lights or other accessories to the side poles for added versatility. This product can be customized to almost any size. Graphic design services are available. A modular panel system that utilizes dry erase board and Velcro receptive panels.